Vilkas Avia’s activities include recreational, commercial, promotional and sightseeing flights, piloting courses, aircraft sales, service and storage, as well as aviation and chemical works. Vilkas Avia, in collaboration with Aleksandras Stulginskis University scientists, developed a unique aerial imaging system of taking aerial photographs carried out using piloted aircraft, which has been successfully implemented. 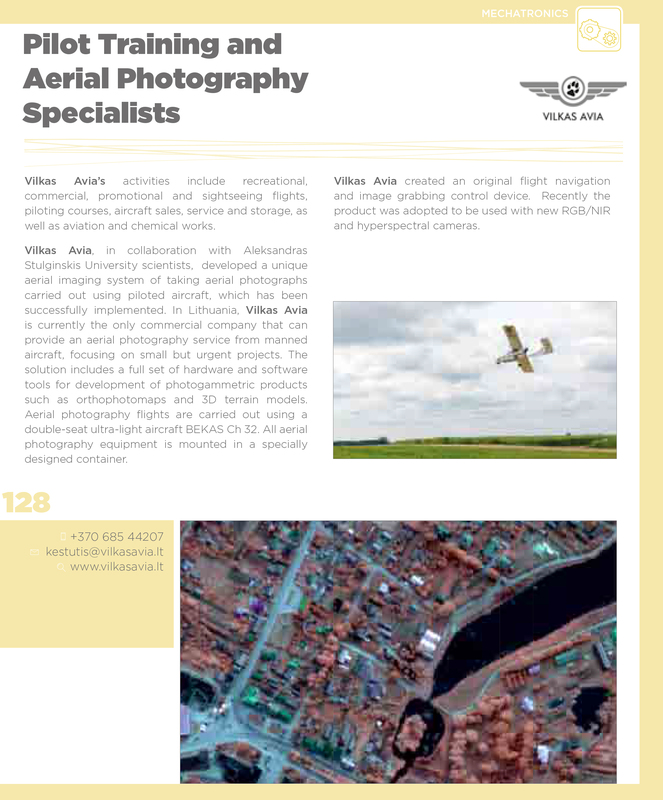 In Lithuania, Vilkas Avia is currently the only commercial company that can provide an aerial photography service from manned aircraft, focusing on small but urgent projects. The solution includes a full set of hardware and software tools for development of photogammetric products such as orthophotomaps and 3D terrain models. 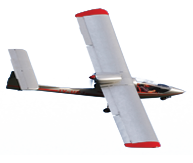 Aerial photography flights are carried out using a double-seat ultra-light aircraft BEKAS Ch 32. All aerial photography equipment is mounted in a specially designed container. Vilkas Avia created an original flight navigation and image grabbing control device. Recently the product was adopted to be used with new RGB/NIR and hyperspectral cameras.